A less well-known aspect of Japan is wellbeing tourism. However, as the Japanese are known for their omotenashi or hospitality culture, and thousands of years of wellness traditions, it is not entirely surprising that wellbeing permeates every part of your journey. What would you do for a perfect night’s sleep? Sleep is an oft-overlooked remedy in today’s busy lifestyle. But scientists theorise that it helps maintain brain function, regulate growth hormones, and ensure emotional stability. 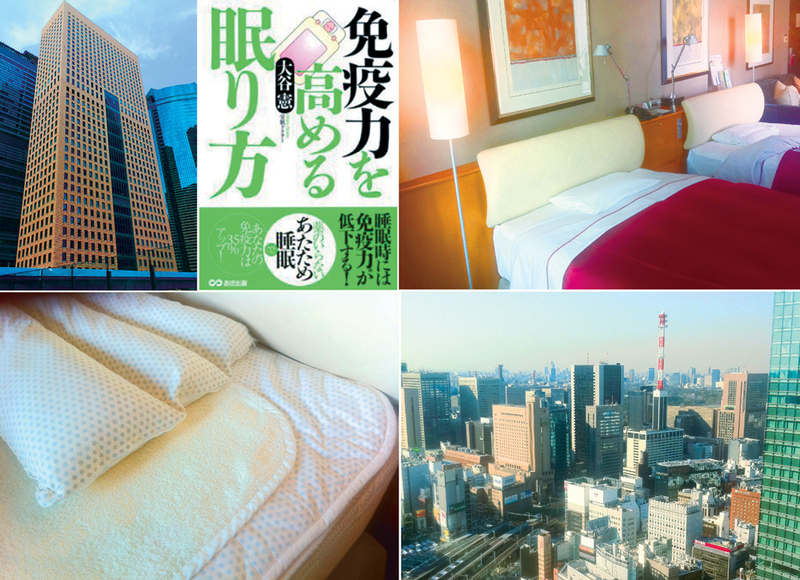 At Royal Park Shiodome Tower Hotel, they have made it their mission to ensure you sleep as well as you can, with their dream room stocking humidifiers with calming aromatherapy oils, soothing music channels, and a revolutionary medical blanket that attunes your brainwaves to maximum deep REM sleep, giving you the freshest start possible to move the mountains in your life the next morning. This blanket also improves your blood circulation, which benefits people of all conditions, but especially those with circulation limitations in their extremities. So whether you are suffering from jet lag or just want to sleep better, the dream room is the perfect place for a good night’s sleep and to ensure you wake up refreshed. Alpha Slim CEO Mr Norio Otani struggled many years with the question, “What is the best way for the sick or the old to get healthy without any exercise?” He realized that the easiest way was to enhance the natural healing power of sleep, reducing the dependency on medicine. He has developed blended tourmalines which emit Terra-Hertz Waves to enhance the natural healing powers of the body, activating cells and enhancing metabolism. After the completion of tests with Kanazawa University Hospital, he has obtained CE certification with the Dutch Government for exports into Europe. Mr Otani tells of a letter he received from a 73 year old man suffering from diabetes, dementia and cerebral infarction, which is a kind of stroke. Because of a lack of sleep, his memory suffered, so much so that he couldn’t remember his birthday, or recognize his children. He also found himself constantly irritated and short- tempered. After using the Alpha Slim products, his cognition level improved and he was able to walk without a wheelchair. 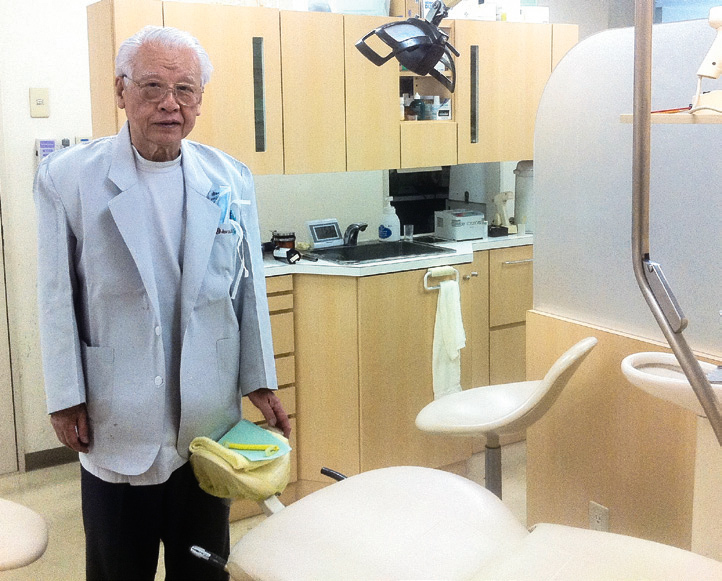 Mr Otani was skeptical, but when he met the man, he was amazed by his recovery. For those who are more concerned with the health of their pearly whites, Japan offers its own unique spin on dental health, with a natural and holistic approach. Dr Hideo Yamauchi is a dentist in Aoyama, Tokyo, who has been trained in both the United States and Japan, and has an insider understanding of the dental health philosophies of both countries. Many of his fondest memories came from his studies and interactions with his teachers and friends in Texas about the connection between physical and emotional health. patient. While in the United States a dentist is likely to remove a tooth if there is any chance of long term decay, in Japan a more holistic approach occurs where the dentist will try to restore the tooth and will work with the patient to discuss different ways to achieve dental health, and the risks and benefits associated with each. Today, Dr Yamauchi’s clinic offers dental check-ups, emergency care, implants, crowns, whitening as well as braces. While charges are slightly higher than in the United States or Australia, his clinic offers high quality services and may provide you with alternative treatments that may not be available in your home country. The confidence and joy that comes about from natural healing, whether from holistic health care or medical blankets can’t be underestimated. But while we pursue physical wellbeing, it’s important to not overlook the importance of mental wellbeing. Fortunately, Japan makes it easy to experience both mental and physical wellbeing without having to search far and wide for it. Everything from meditating in the Zen gardens of Kyoto to taking part in a tea ceremony will immerse you in a sense of mindfulness. At the Camellia Tea House near Kiyomizu Temple in Kyoto, apply the brakes on your pace of life, to the calming sounds of bubbling water, as the owner Mori-san prepares you for a journey. Calm, disciplined, and elegant, the traditional Japanese tea ceremony is bewitching to experience. A sense of time and space prevails, as everything about the moment is distilled into the pearls of exquisite Uji matcha tea. Camellia Tea House provides a warm welcome to overseas visitors, and being located in Kyoto, the epicentre of Japan’s tea ceremony culture, offers an authentic experience, with even the water sourced from local underground springs. As an added bonus, the green tea is packed with anti-oxidants, soothing your mind and body. Isn’t this the essence of a good holiday?